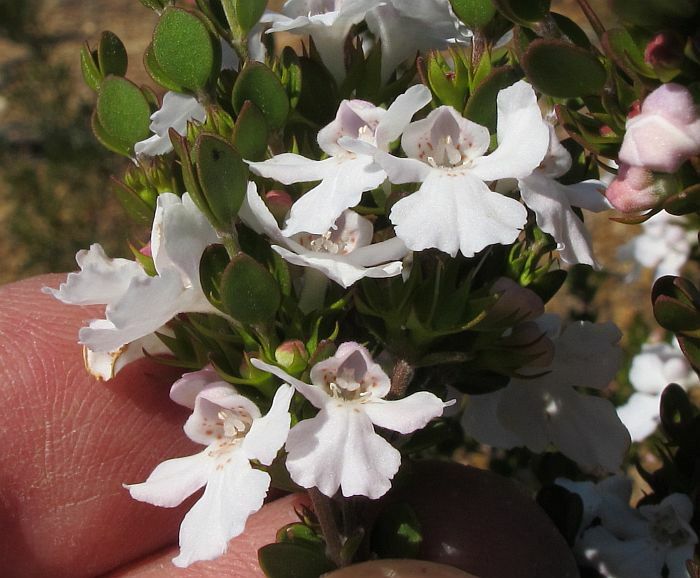 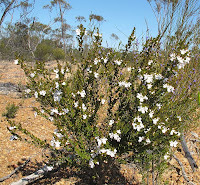 The genus Microcorys is an eye-catching group of small shrubs in the Lamiaceae family, most of which (including this one) endemic to Western Australia. The Microcorys name is of Greek origin and refers to the small helmet like arrangement of the two upper petals. They tend to like low rainfall/warm regions, so all species are absent from the lower portion of the State, SW of a line from Albany to Perth. 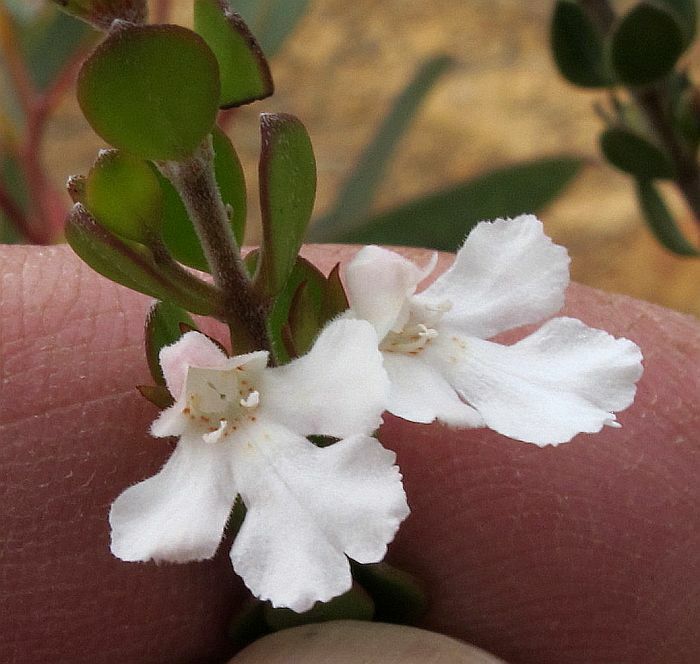 Microcorys obovata is found NW of Esperance to Jerramungup, then NW to the Moora district, returning SE to the Southern Cross region. In the mallee NW of Esperance, Microcorys obovata favours gravels soils, especially with a shallow sandy covering, and like many other plants in the Lamiaceae do particularly well after bushfires or soil disturbance. 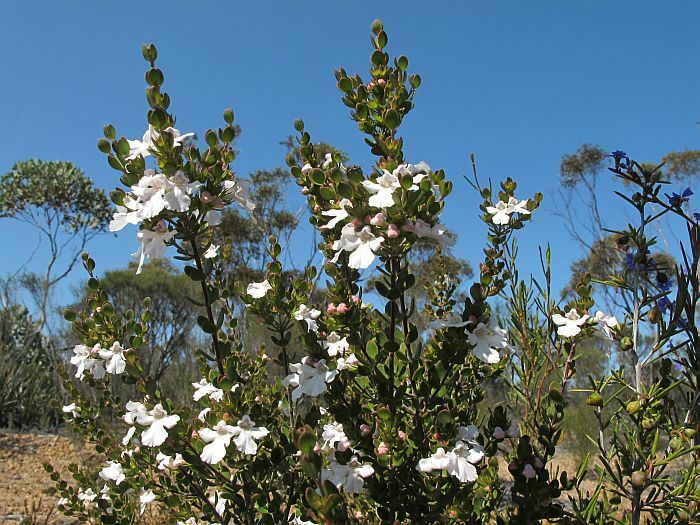 Locally, this species is moderately bushy and usually grows to under a metre (3’) in height, but is recorded reaching 1.5 metres. 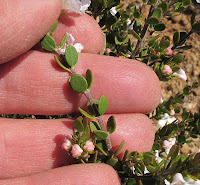 The neat oval leaves are arranged in threes along the branches and are quite flat (not recurved). 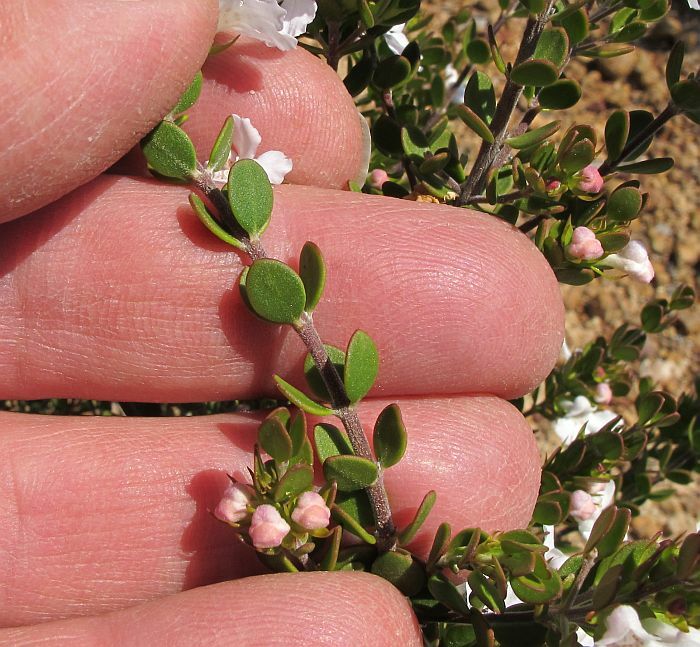 The flowers that resemble a small child in robes, are usually white with pink toning and have darker spots in the throat area. 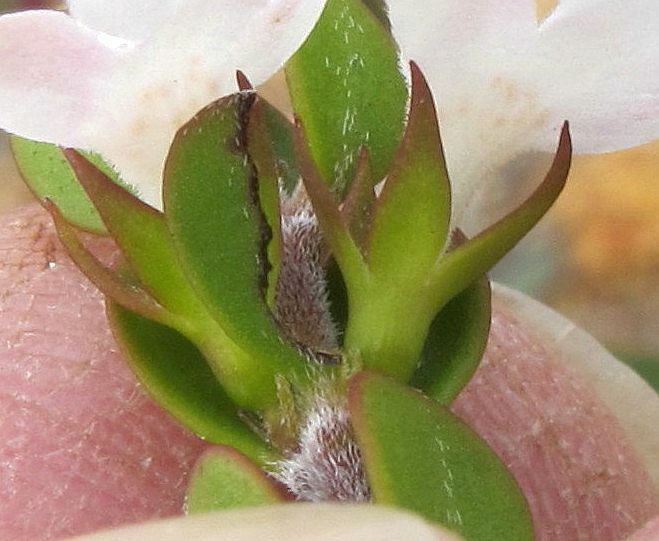 As flowers appear at the base of each leaf, they not only present well, but can do so over a long period from August to November, although mostly at their best during September/October. Pollination is by insects, particularly beetles that land on the broad lower petals to then crawl directly into the flower in search of pollen and nectar.